This is a 1947 Parker 51 Vacumatic-fill in Nassau Green with 14K “Scalloped” (Barley) cap. Very rare color and a rare cap! Medium nib. Near mint, with deep and crisp barrel imprint. Item #10 in Catalog #85. 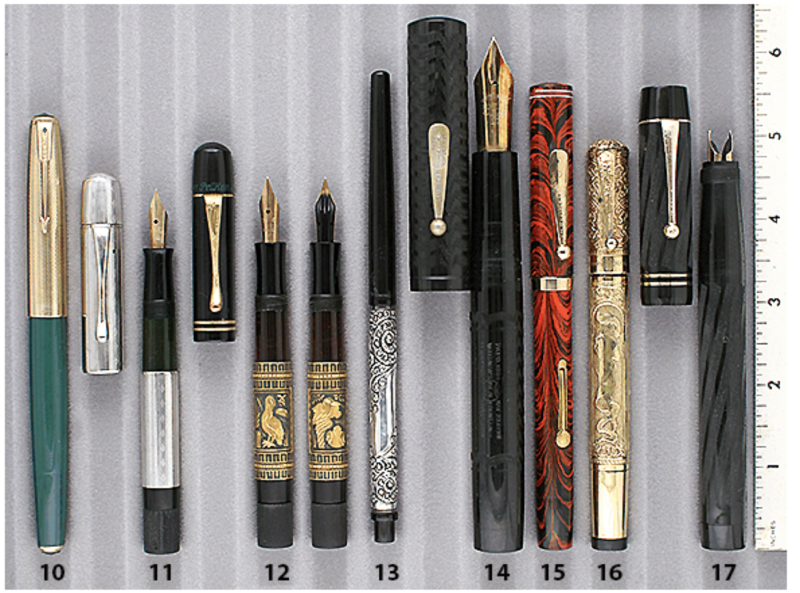 This entry was posted in Vintage Pen, Vintage Pens and tagged Catalog, Catalogs, Extraordinary Pens, Fountain Pens, Go Pens, GoPens, Parker, Vintage Fountain Pen, Vintage Fountain Pens, Vintage Pen, Vintage Pens. Bookmark the permalink. Follow any comments here with the RSS feed for this post. Post a comment or leave a trackback: Trackback URL. Spam protection: Sum of 1 + 8 ?